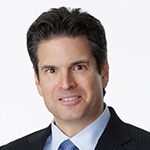 Mike Rosen serves as Executive Vice President, Advanced Advertising and Platform Sales, NBCUniversal. In this newly created role, he leads the Audience Studio product sales team for our suite of advanced advertising products. Previously, Rosen oversaw advertising sales for NBCUniversal’s News and Hispanic Groups. He was responsible for all advertising revenue generation, including cross-platform sales initiatives and multiplatform integrated marketing solutions, for the NBCUniversal News division (NBC News, MSNBC, CNBC), Telemundo and UNIVERSO. Rosen joined NBCUnviersal from Starcom where he was President of Investment and Activation. He led efforts for more than $9 billion in media budgets across category-leading clients such as Kellogg, Mars/Wrigley, Samsung and Bank of America. Prior to Starcom, Rosen served as President, Investment at SMG's GM Planworks. He has also held media negotiation positions at IPG's GM Mediaworks and Atwood Richards. Before that, Rosen was Founder and Chairman of Baker Hill Media Services, an independent media services agency. Rosen holds a Juris Doctorate from the Fordham University School of Law and a Bachelor of Science in Communications from Cornell University. He is a member of the New York State Bar Association. Rosen is the proud father of two children, Emily and Logan.